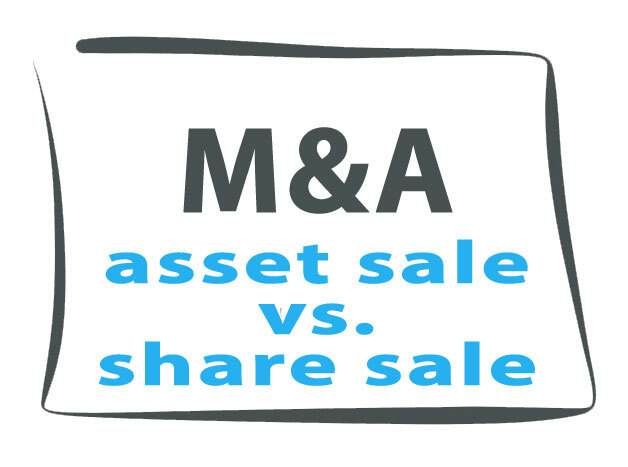 Asset or equity sale? How about a little of both via Section 338(h)(10) election? In a business sale transaction, the buyer typically desires to buy assets and the seller usually wants to sell equity. Section 338(h)(10) of the tax code provides a win/win opportunity to both parties (when applicable). There are tax and legal reasons for the customary situation where the seller of a business wants to structure the same as a sale of equity and, in contrast, the buyer wishes to purchase only assets. The seller is often motivated to sell equity so that it can walk away from the deal free of legal liabilities associated with the company, including debts and other claims. A buyer usually wants none of these things and instead wishes to cherry-pick only the “good stuff”–namely, the assets that have value, while assuming few, if any, liabilities. Further, when a purchaser acquires assets, there is often a “stepped up” tax basis in such assets for the purchaser, and this can result in significant tax benefits for the purchaser over time. Anyone who has been involved in M&A transactions understands the preceding realities and is accustomed to these conflicting objectives of the buyer and seller. Often it is the party with the most leverage that prevails in the selection of asset vs. equity structure. Happily, Section 338(h)(10) of the tax code provides an opportunity, in the right circumstances, for a buyer and seller to each get what they want from a tax and legal structuring perspective. The right circumstances include a buyer that is a corporation for tax purposes (meaning, an LLC taxed as an S Corp qualifies). Entities taxed as partnerships or individuals are not eligible to use this method. Likewise, the seller/target company must be a corporation for tax purposes. And most often, this will be an S Corporation. So, how does this then work, assuming we have an eligible buyer and seller? Upon the joint filing of the Section 338(h)(10) election (no later than the 15th day of the 9th-month post-closing), the seller is treating as having sold all of its assets in a taxable transaction and is deemed to then liquidate and terminate its existence. Even so, the applicable purchase agreement is actually an equity purchase agreement, and should be carefully drafted so as to meet the requirements of a “qualified stock purchase.” This must be done in a manner in which the buyer acquires at least 80% of the seller’s stock in a taxable acquisition. The seller is deemed as selling all of its assets in a single transaction to a new corporation owned by the purchaser. The Seller must adopt a plan of liquidation prior to the sales transaction and then formally dissolve within 12 months of closing the sales transaction. This pre-sale adoption of a plan of liquidation is a key part of the required process that must not be overlooked or neglected in the rush to close on the deal. Likewise, a timely liquidation post-closing is a key element that must not be forgotten in the post-closing matters. It is worth noting that the purchaser in these deals often comes away with more tax benefits than the seller. Accordingly, once the parties have agreed to execute on this structure, it may be appropriate to have a purchase price adjustment to make the seller whole and to compensate for such greater tax benefits for the buyer. Otherwise, the deal may be anything but a win/win. Remember, both parties must agree and jointly make the Section 338(h)(10) election, so the seller may use this as leverage in the discussion of purchase price adjustment. And, of course, the seller always retains the ability to choose not to proceed with the transaction if the terms are not acceptable. When there is a staggered sign and close, these contingencies must be carefully drafted into the purchase agreement, for the protection of both sides (but especially the seller). Accountants will be needed to calculate and project the tax consequences of the deal so that such can then be used in the purchase price adjustment. This is yet another example of where and why the accountants and the attorneys must work in concert for the overall benefit of their clients (buyer and seller). An attorney will not be qualified to do the related accounting work and, likewise, the accountant will not be qualified to handle the related legal work. An obvious point, but it is shocking how often these realities are ignored by the relevant attorney or accountant seeking to do everything (seemingly to get a higher cut of overall professional fees). But whatever the motivations or reasons, cooperation among professionals, each “staying in their lane” of competency, will yield the best result for the client. That is a worthwhile objective any professional advisor should be able to get behind, regardless of the letters behind the professional’s name (i.e., attorney, accountant, financial advisor or other).